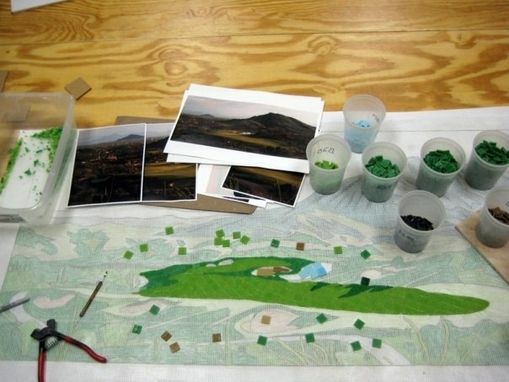 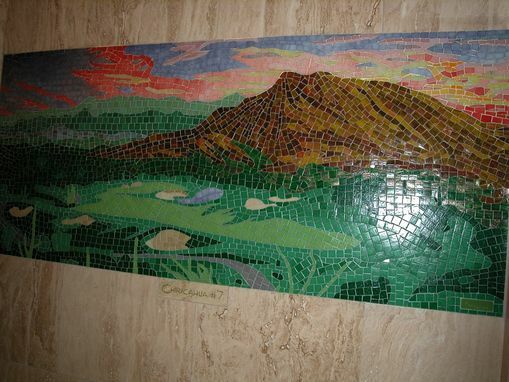 This is a mosaic depicting the #7 hole on the Chiricahua golf course. 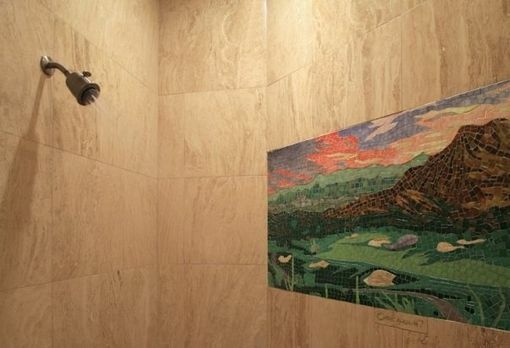 The mosaic was installed in a home built along side the hole. 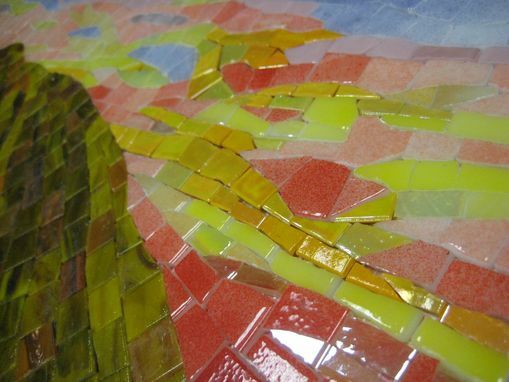 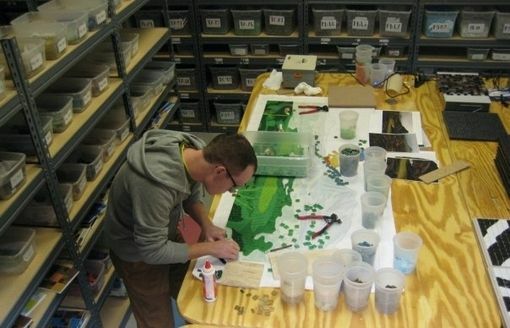 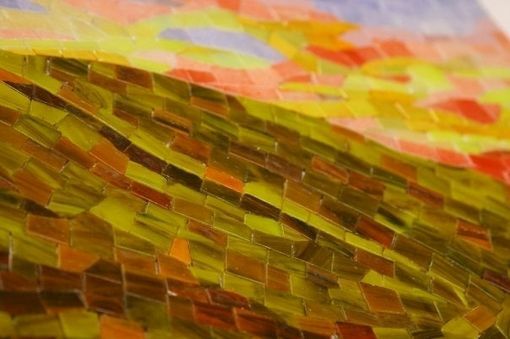 It was created using glass tiles and measures: 27" x 62"